Yes, I travel anywhere in the United States and the world. A lot of our weddings occur outside of Pennsylvania. Destination weddings are subject to extra travel fees. How much time do you need for creative portraits of us? Like any great works, time is of the essence when it comes to creating beautiful images of our couples, time that allows us to shine, and portray them in the best light they'll ever be in. So the more the better in this case. Most sessions are on location around one to two hours, without travel time. Does Daniel photograph all the weddings? 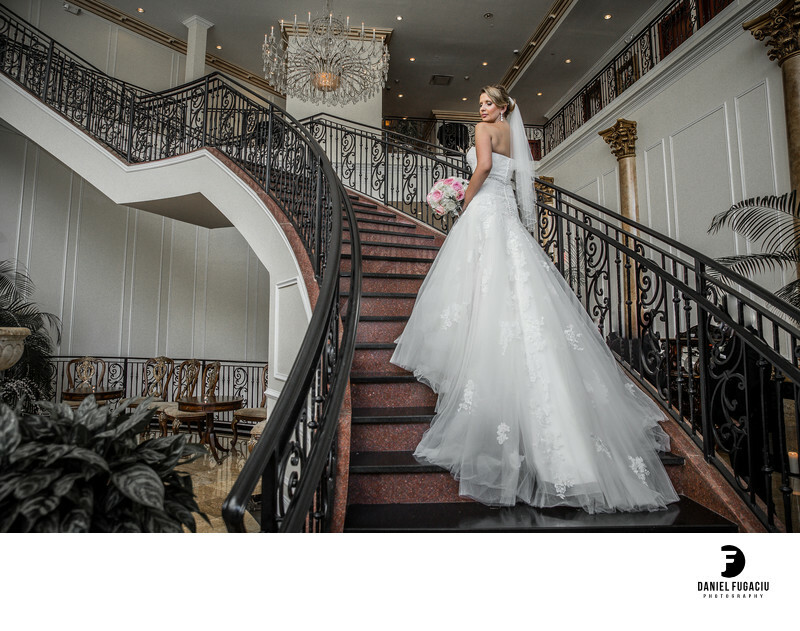 Yes all wedding photography is handled by Daniel as main photographer along with a second shooter when needed or an assistant in certain cases. I shoot primarily in a photojournalistic candid style, capturing the flow of events and details of your special day. A more editorial approach is combined for creative, group and bridal party photos. Most couples want a mix of both styles. I will guide and suggest creative ideas as we plan your wedding photography and will never be obtrusive. For example I prefer to shoot guests enjoying themselves and laughing at the reception as opposed to bothering them with forced "table shots". I want to book my wedding. What is the next step? Contact us and we'll double check if your date is available. If it is, we'll schedule a phone consult, skype or in person meeting(our favorite). After that all we need is a $1000 retainer to book your wedding. We only accept 1 full wedding a day currently. The retainer allows us to turn away weddings on your wedding date. I have a specific look idea, can you photograph it? Yes! I help couples sculpt the wedding day the way they envision it. Do we get high resolution images for personal use? Yes. You can get logo free photos to archive. I offer custom USB drives and fast download links. We use checks as our preferred method of payment. I use Canon top of the line SLR cameras and L series lenses. All my equipment has backups on site! I take my job seriously, it's my livelihood. How are my photos stored? Your photos get immediately backed up offsite and onsite. By the time your wedding photos are processed they are in 3 encrypted server locations across the United States. Why don't you list your prices for wedding photography? Each collection is customized to the needs of the couple. Most couples get a custom collection to better fit their needs after our consultations with them. What's the turnaround time for photos? First you'll be mesmerized with a few sneak peaks on our facebook/Instagram page, the day after. We are proud to have a superfast turnaround time after your event, usually not more than 1 month. Albums and other special orders will take two months to be delivered once approved. My goal is to tell the story of your day fully, beautifully and completely and doing so I emphasize quality over quantity. Our couples usually receive 400 to 800 images, depending on the nature and length of their celebration. Are the photographs on my DVD/USB proofs? No. The photographs on your USB are edited, finished photographs, not unedited proofs directly from my camera. I review every photograph making minor adjustments as needed. Each image is post-processed, color corrected and polished using the latest professional software and delivered at 1800 pixels 72DPI. You can expect to receive color, black & white, color-toned and photo-manipulated photographs of your wedding day on your USB. Will there be a contract involved? You bet. A booking proposal is sent once we are a great fit. Easy peazy. Can I order Thank you cards myself? Yes. We would need notice at least one month in advance of the wedding as it does take time for our insurance company to process and provide that document. We appreciate being fed in the same time all the guests are fed and in the same room/area if possible so we can continue coverage after everyone is ready to dance. Most people will not want to be photographed while eating anyway.